Every year for the past six years, the Foundation has held a competition with architecture, engineering, design and art schools on various topics relating to the environment and innovation. These competitions illustrate the Foundation’s commitment to researching future challenges: from a lifestyle respecting the marine environment to alternative housing and energy savings. Outdoor tourism is the leading form of tourism in France. The challenge of the contestants will be to offer environmentally-friendly solutions for landscape design and the way life is organised within the campsite. In 2018, the jury has rewarded 3 projects and one special price. 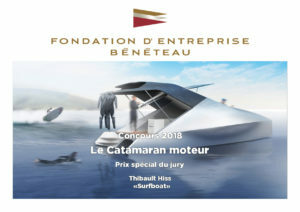 The competition was about conception and design for a power catamaran. While taking into account the evolution and development of boating and technological advances, students have succeeded a creative challenge to design a power catamaran which is innovative in its design. 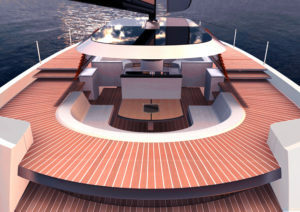 The project named Le Nouvel Horizon is a high level catamaran which combines space, performance and ecology. This boat can sail at 20 knots. Its modular conception can add 40% place when the boat is at anchor. Its hybride motor and photovoltaic installation save energy. 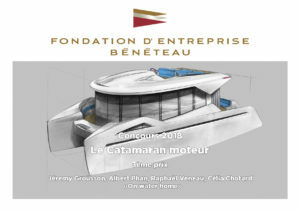 The jury has appreciated this catamaran able to seduce various users between innovation and confort. The Dyseis has been designed in order to live among the water et not only upon. Thanks to platform and pontoon which can be settled at anchor, this catamaran becomes an entertainment area (scuba diving for example). This project includes also environmental equipments like photovoltaic and wind turbine. 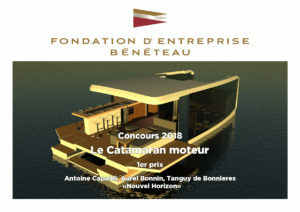 The jury has rewarded the conviviality of the catamaran. The One water home includes a full environmental conception with durable, recyclable, modular, and removable aspects. This innovation allows many different arrangements while preserving energy and creating pleasant space to live. The jury has appreciated this global and innovative way of design. The Surfboat is dedicated to the extreme sport amateur. It has been designed in order to fit with surfers and with spot areas. The jury was very interested in this specialization in accordance with the new tendancies of sailing. 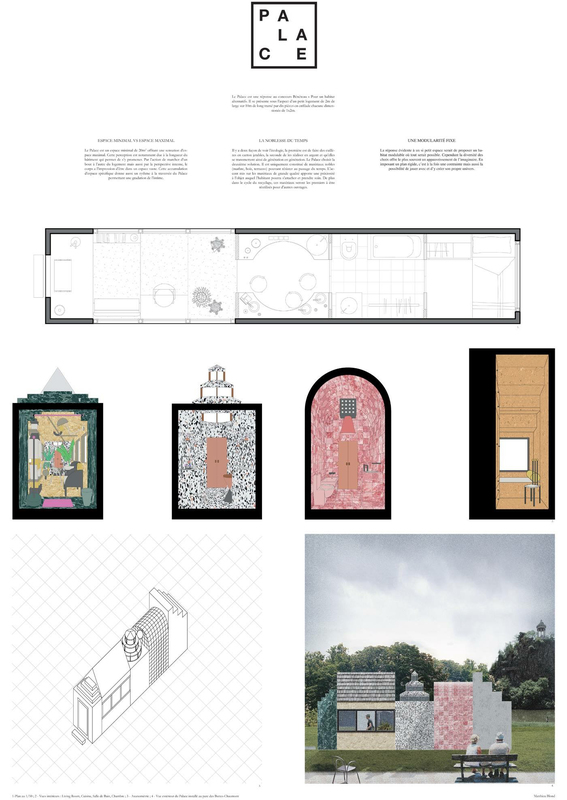 Victor Donnard from the architecture school of Nantes has received the first price for an amount of 6 000 €. 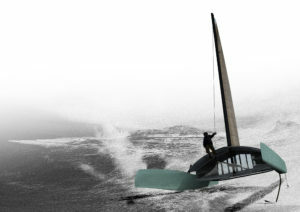 He has conceived the cheapest, the lightest and the most ecological catamaran as possible. Moreover, he has tried to create a link between competition and entertainment ways of sailing. This second project is totally different but complementary. 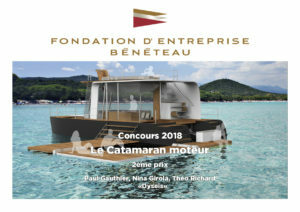 Thus, the Foundation has decided to give a first price ex-aequo to a project defined by Camille Richard, Cyprien de Hautecloque and Pierre Betbeder have designed a boat self-sufficient in energy thanks to photovoltaic sails and electric engine. The project was thought in order to favour the light inside and to optimize the place by a smart asymmetry (the boat is closed on one side). This project made by Andreas Kamaris, Pascal Amar, Adriano Ruta and Pauline Fossiez has received the second price for an amount of 4 000 €. In a first step, they have managed a marketing study which has led to an elegant, fullness catamaran where the owners live as well inside and outside. In 2016, students were invited to work on concepts for a floating community – one of the solutions for the medium term to respond to urban density issues. 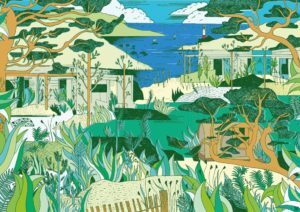 Martin Bedier, a fifth-year student from Agrocampus Ouest, and Martin Painsar, an architect from the Paris Belleville National School of Architecture, were rewarded for their “Ocean Rhythms” project. They successfully combined traditional features from fisherman’s cottages with innovation in terms of sustainable development and biodiversity. 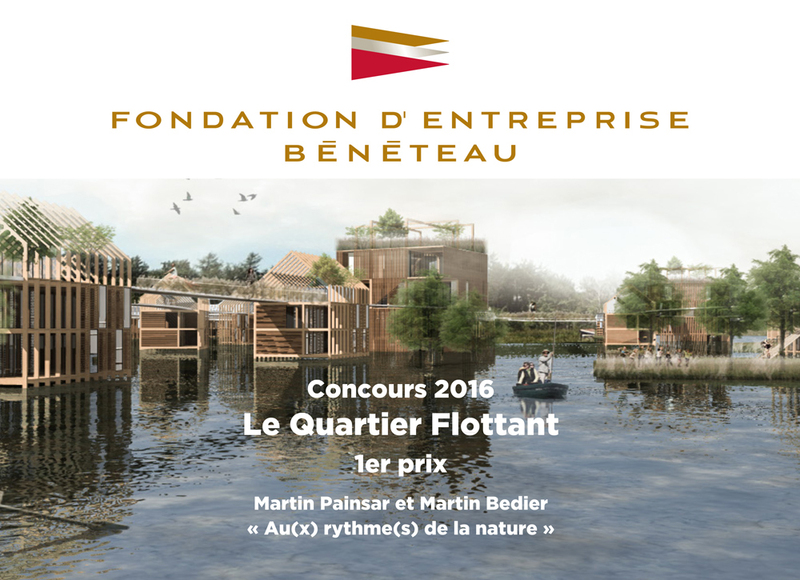 The Nantes and Bordeaux urban communities and the French Ministry for Housing, through the PUCA planning, construction and architecture program, have expressed strong interest in the 2016 competition winners’ work. The Foundation has supported them with their first steps in order to facilitate their exchanges. Thanks to the Foundation, Martin Bedier and Martin Painsar have set up their own business to work on their first projects with Kaufmann & Broad and SAMO (SNI Group). The Foundation was looking to create an alternative housing solution with less than 20 sq.m of space and a self-sufficient design for energy production. 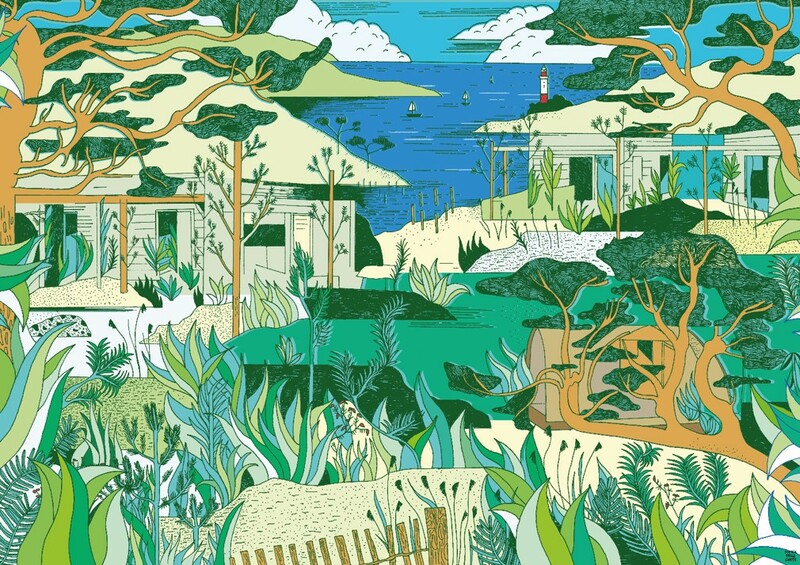 It selected Matthieu Blond for his “Palace” concept.